Thank you to everyone for all of the wonderful birthday wishes this weekend! 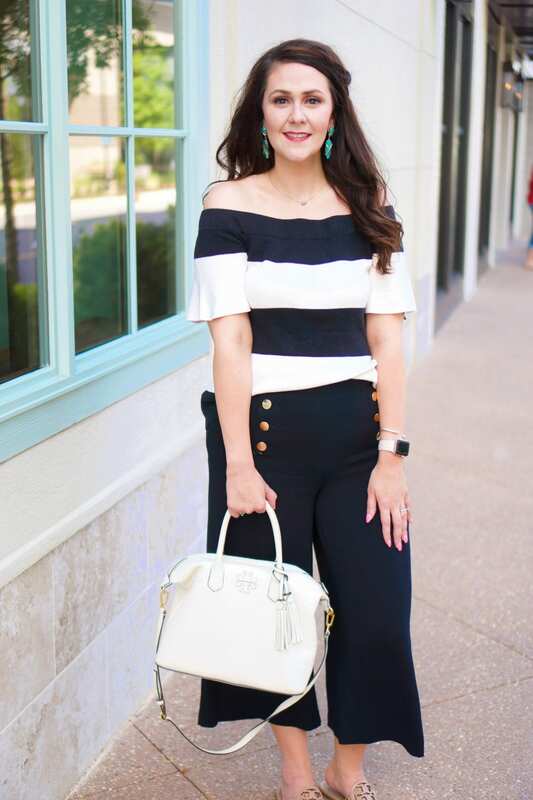 I spent the weekend celebrating with family and friends:) As a special thank you, I’ve teamed up with some of my blogging buddies for a fun 30th birthday giveaway with a couple of my favorite items. Be sure to check out the giveaway at the end of the post! 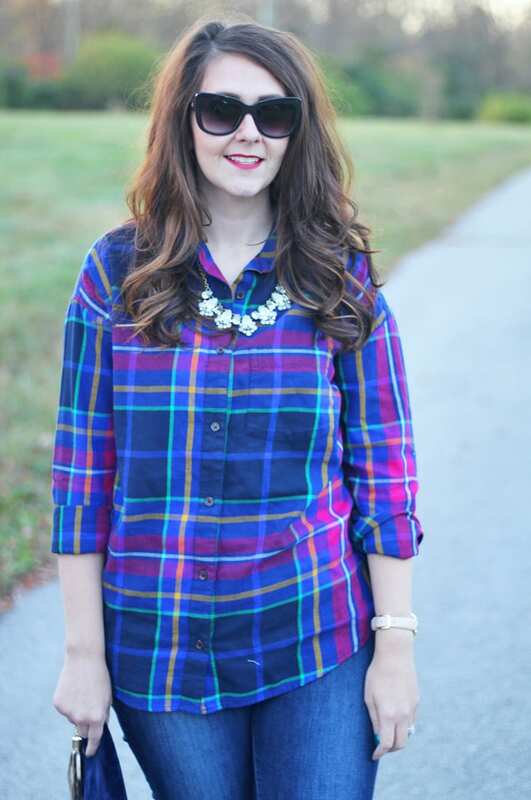 If you’re looking to mix up your plaid game this fall, then you should try out a brightly colored plaid like the one I’m wearing above from Old Navy. 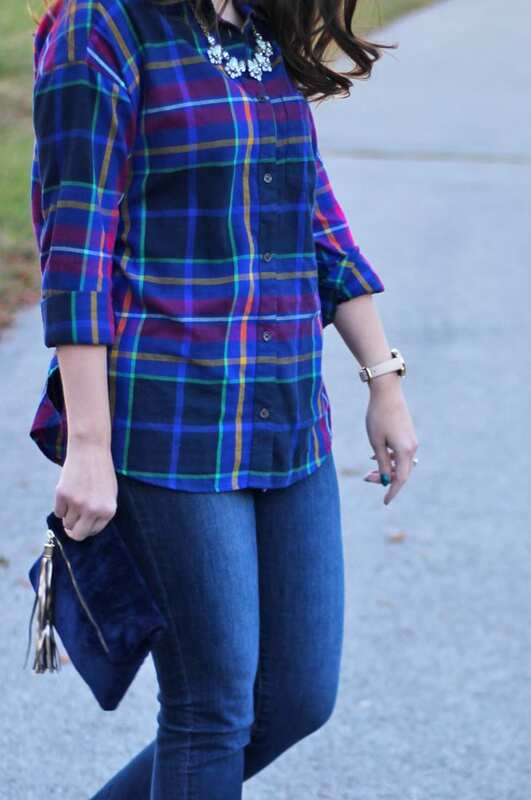 This rainbow plaid shirt has such pretty colors in it! It’s unexpected and fun. 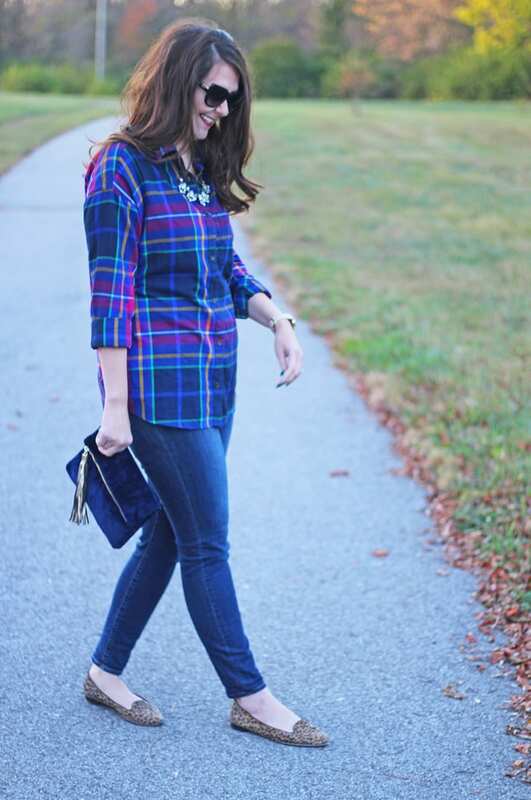 I like to pair bright plaids with dark jeans and a pair of leopard flats to keep everything anchored. 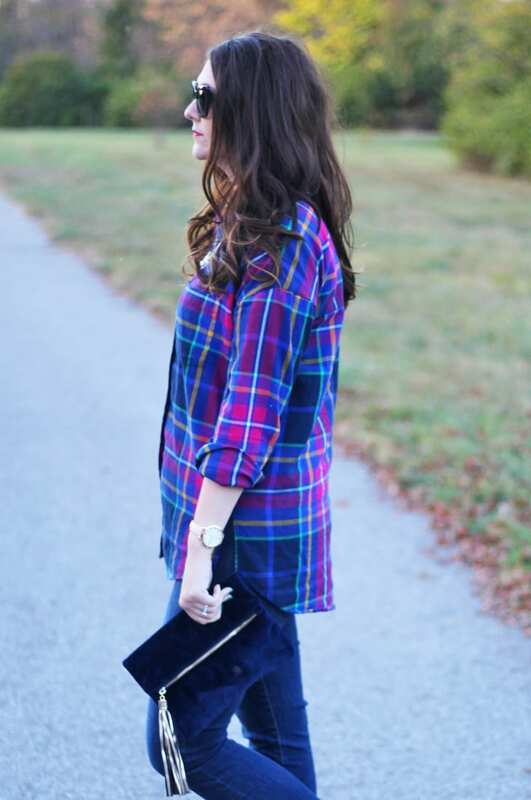 My shirt is a boyfriend flannel, and I chose to go with the tall size in it for some extra length. 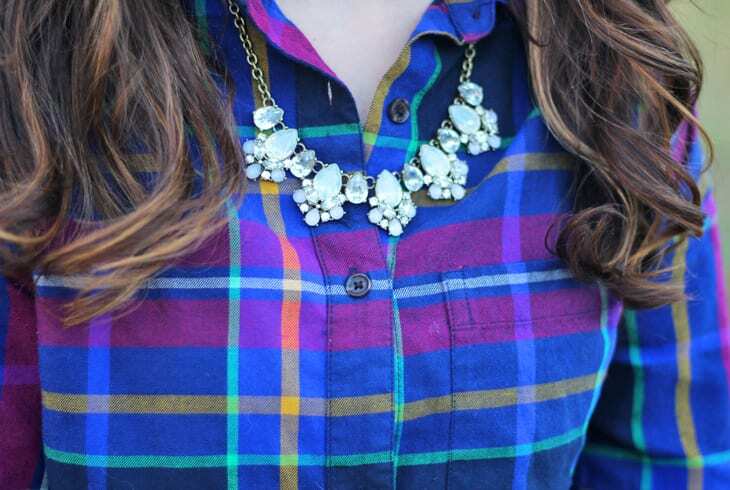 To play up your plaids and flannel this holiday season, add some shine around your neck with a crystal necklace! 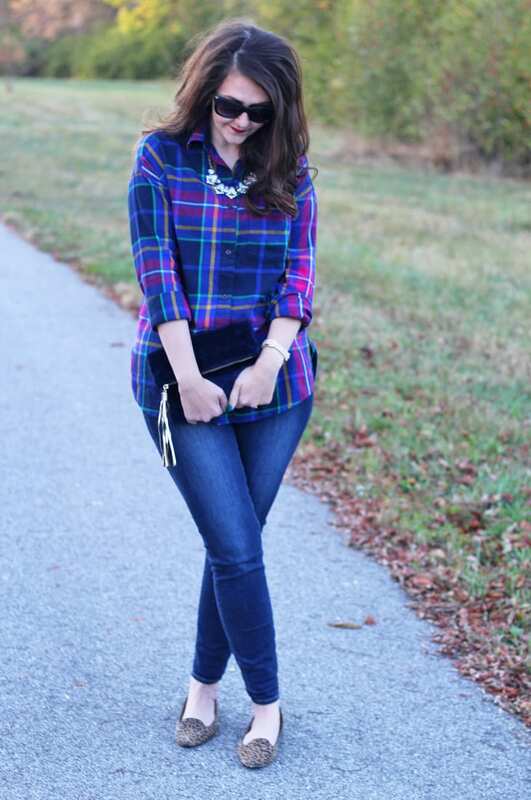 I love this necklace from Rocksbox. 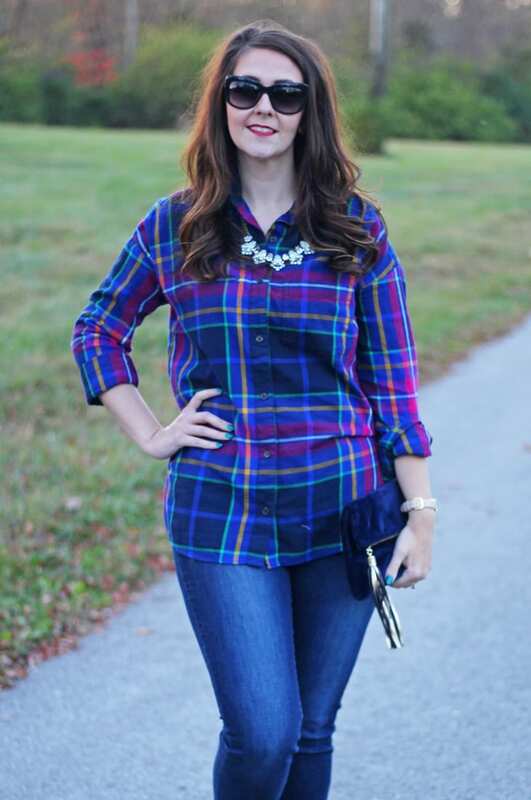 This time of year is a great time to treat yourself and try out Rocksbox if you haven’t already (you can learn more about Rocksbox here) because you can get some great pieces to wear for the holidays without having to shell out a lot of money–it’s just $19/month. And you can get your first month of Rocksbox FREE with code BRIGHTONABUDGETXOXO. You can cancel at any time, so even if you’re just wanting to get one month free, set an alarm on your phone to cancel and send your current set back at the end of that month. 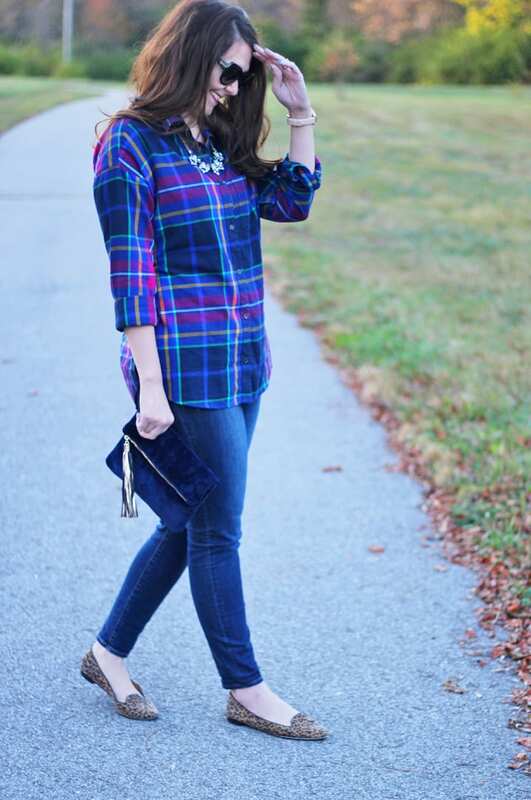 I kept the rest of the outfit simple, throwing on my new Kate Spade watch and a navy velvet clutch. 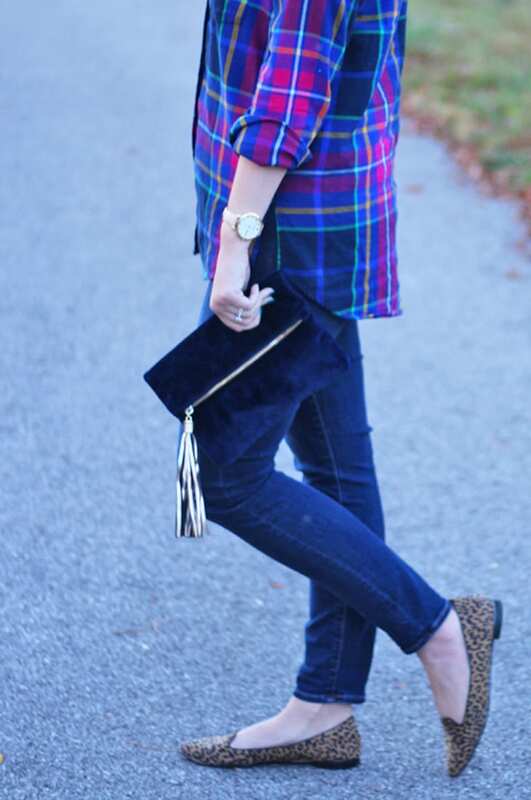 Velvet is such a fun fabric to accessorize with because it gives your outfit some depth with the contrast between fabrics. As for the watch, check your local Kate Spade outlet to see if they have it in stock–I found mine for $80 at the Outlet Shoppes of the Bluegrass a few weeks ago! It’s says “I need a vacation” in super cute, tiny print on the watch face and has a turquoise second hand. Now for the giveaway! 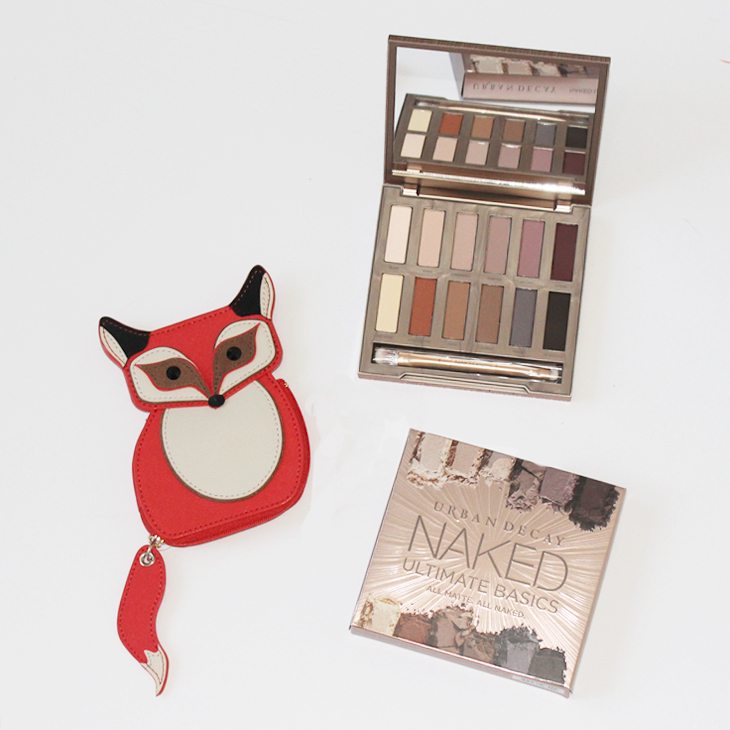 Enter below for a chance to win a Kate Spade fox change purse and the new Urban Decay Naked Ultimate Basics eyeshadow palette. To be eligible to enter, you must be at least 18 years old and a resident of one of the 48 contiguous U.S. states. To see the full terms & conditions, please click thorough the link of any of the entry options. This giveaway is in no way sponsored by or associated with Urban Decay, Kate Spade, or any social media website listed in the entries.